MetroFax is an online fax service that enables users to send and receive faxes from a computer or smartphone. Its features include dedicated fax numbers, multiple fax pages, mobile faxing, automatic retries, and more. In this article, we covered its pricing options. Ready to try MetroFax? Get a free trial. As of the date this article was written (10/16/18), there are no positive MetroFax user reviews available online. If you are a past or current MetroFax customer, leave a review to help other business owners who are deciding whether or not to use the software. Users who gave MetroFax a negative review reported having difficulties in canceling their subscription. They also complained about occasional system glitches. MetroFax offers three paid plans: Essential ($7.95+/month), Value ($12.95+/month), and Professional ($35.95+/month). Pricing depends on which state a user is located in. The main difference between the plans is the number of fax pages allowed per month. Additional pages processed will be billed after the plan’s limit is reached. 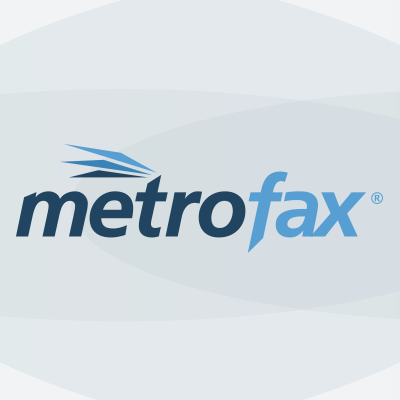 Ready to try out MetroFax? Get a free trial. Best Online Fax Service — Free and Paid Options — An online fax service allows you to send and receive faxes from your computer or smartphone. In this guide, we compared three of the best online fax services to help you choose what will work best for your business. What happens once the allotted pages are used up? Users will be charged $0.03 for every page in excess. Does MetroFax offer annually-billed plans? Yes. However, actual values are not readily available on the website. Users can get in touch with their sales team for more information. Not sure if MetroFax is the right fit for you? Read our reviews of all top online fax software providers or check out one of these three MetroFax alternatives. 1 month FREE TRIAL is a gimmicky to get you to sign up, After you sign up, you can not cancel online you have to call to cancel the account. There’s difficulties to talk to the customer representative, seems the representative has a strong Indian accent. I gave them my Fax No, Email, and Credit Card no they said there’s no record of my account. I need to ask them to transfer to another one to help me. Finally they brought up my account and asked me series of questions and tried to retain me. I turned down the offers and just only want to cancel the account completely. Want to know how to cancel the account before I sign up. The company offers a free trial but requires your credit card information. The problem is – they make it almost impossible to cancel. Had I known how difficult it would be to cancel the free trial I would never have given them my credit card information. Forget customer service with these guys. I am now at the end of month TWO trying to port a number with these guys. I have called EVERY DAY (Monday thru Friday) for three weeks, and gotten a different excuse as to what the problem is. This is the FOURTH time they have asked me to send the same information. I am a computer consultant for 30 years and this is the poorest customer service I have seen in my life. Do yourself a favor and read almost all of the other reviews here (almost all negative) and believ them. I have spent over 30 hours trying to resolve this, and now found out that they did the same mistake from the beginning. This has cost my customer OVER $400 dollars. Customer service with Metrofax is a complete fraud. My significant other was injured in February and I thought it would be beneficial to have an inexpensive method of faxing documents to the work comp insurer. My son found Metrofax for me and worked at setting up the account in addition to assisting with making my home accessible for a person with a disability. I have not logged into the account since late spring. I just spent nearly an hour on the phone with Metrofax, first with Matt in customer service, then with Denis, employee #7423, who stated he was Matt supervisor. I have attempted to cancel my service several times over the last several months by both written letters via postal service and also by an email in September. While they did not show a record of the letters, they did show a record, by their own admission, of the email requesting cancellation yet they continued to charge my credit card. They FINALLY agreed to cancel service today but refused to provide a refund for unauthorized charges since last September. Denis also refused to provide the name of position of his supervisor for me to write a letter in addition to refusing to either transfer me to his supervisor or even check if the supervisor would take the phone call. I will be providing details of this totally unsatisfactory experience on every internet review website, my own personal friends and business associates, the attorney general offices in each state, the Better Business Bureau, and any other consumer protection agency that is recommended. $32 just bought this company a lot. My advice, stay away from them!